Quidam is a great show with lot of high quality aerial acts and floor acrobatics, we also have a live band and the music is beautiful. How did you first get interested in skipping as a sport? My father is a physical education teacher and he was the one who saw some girls doing Double Dutch in a movie and he thought it would be a great idea to start it in his school. So me and my sister got involved in it, and after finding out that there were already some skipping federations existing in Hungary and internationally we started to put more and more work into the sport! 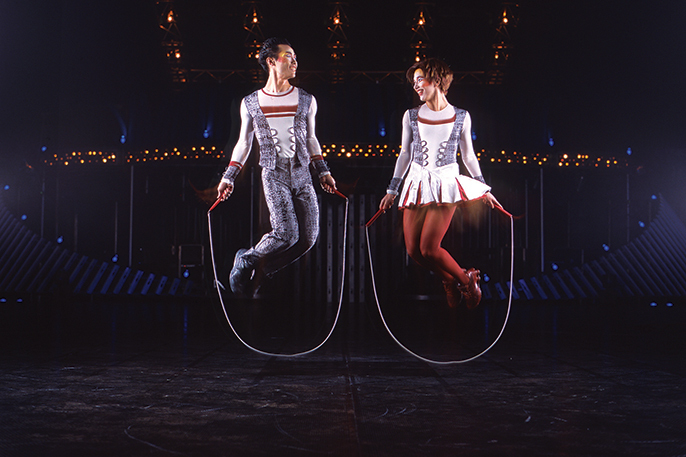 In Quidam do you choreograph your own jump-rope tricks and sequences? Yes, my solo is choreographed by me but the other parts of the act were already done when I arrived. During the years that I have been with the show we made some changes to make the act better and better! What made you want to join the cast of Cirque du Soleil? Our skipping club got an email from the World Rope Skipping Federation that Cirque du Soleil was looking for extreme sports for their shows. Because skipping was not a very popular sport at that time we thought it would be something interesting to try and see what happens. Fortunately they really liked our material so they called me and my sister for an audition where we both passed but after they picked me for Quidam which already had a skipping act. What has been your most surprising experience during your time with the company? Well I would say that it’s already a great experience to be part of the company and this cast, I would have never thought when I started skipping that one day I would make a living out of it. So joining Cirque du Soleil really changed my life and hopefully I can live this dream for a few more years! In your opinion, do Cirque du Soleil shows differ from traditional circuses and if so, in what way? There is a difference of course between traditional circuses and Cirque du Soleil; first of all there are no animals in the shows! The costumes and make up are amazing as well that you rarely see in other companies! And of course the music and choreographies are excellent too! A silly question out of sheer curiosity. Your act is incredibly fast with your rope moving at amazing speed. Have you ever hurt yourself or anyone else during a routine? It’s a very fast act for sure and some people hurt themselves having an ankle twist or similar injuries. Fortunately I haven’t had problem so far doing the number! In the past you have taught skipping skills to children. What do you think the best way is to encourage young children to exercise? Skipping is a fun way to have the children exercise a bit and you don’t a need many things; just a rope and putting some music on helps a lot too. The kids I have worked with just loved it. What is nice about skipping is that you can follow your own rhythm; you can be creative and learn how to work together with other people! You’ve travelled extensively with Quidam since 2005. Where has been your favourite place favourite place to visit and where would you still like to go? I love to travel and I guess my favourite country is Brazil. I love the atmosphere and the people and my husband is from there so I think maybe that’s why it’s my favourite place too. But there are many places that I still want to go to, but right now I just want to enjoy Europe for a bit! 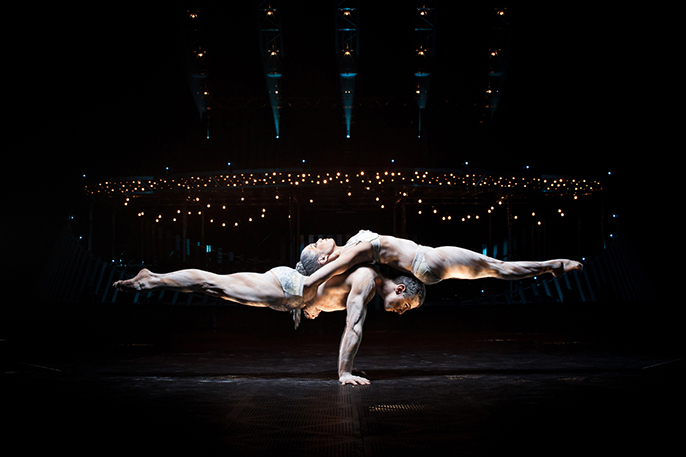 Outside of your work with Cirque du Soleil, what other interests and aspirations do you have? I like to learn languages so now having spent almost 3 month in Germany I’m working on my German and because France is on our list as well, I really want to make the effort to learn French! I like to be outside so most of my days off I like to plan to do some outside activities as well! It’s a great show with lot of high quality aerial acts and floor acrobatics, we also have a live band and the music is beautiful. So it’s a complete program for the whole family; it’s great for kids and couples who are looking for a nice night out!